Is laundry and housework only a woman’s job? 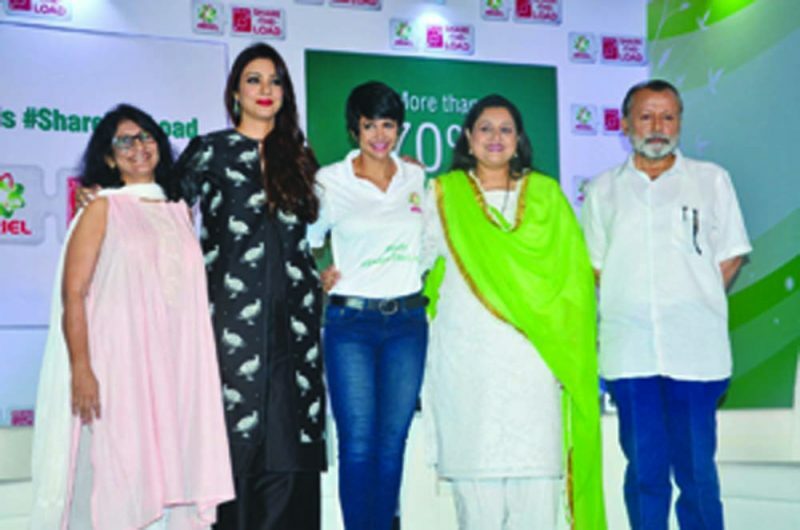 Ariel India joins women from across the country and the globe in asking dads to #ShareTheLoad. 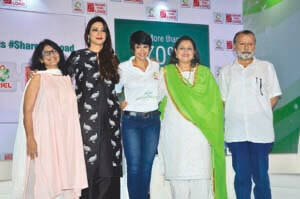 Pankaj Kapoor, Supriya Pathak, Tabu and Mandira Bedi, among others, participated in the movement to end stereotype of gender roles and inequality within households. As the social debate continues to evolve, a new study reveals that two out of every three children and 70 per cent of men believe that laundry and household chores are a mother’s or wife’s job. According to a recent National Crime Records Bureau study, every year, over 100 farmers in India lose their cattle and crops due to accidents at night. To overcome this challenge, Deepak Fertilisers and Petrochemicals Corporation, with its fertilizer brand ‘Mahadhan’, has undertaken an initiative ‘Lighting up farmers’ lives’. 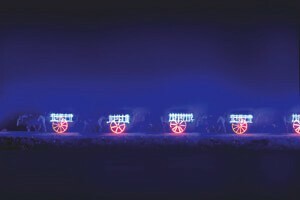 Bullock carts are installed with battery operated LED strips that would be lit when the farmer is plying the highway at night, thereby reducing the risk of accidents. The concept addresses the challenge of poor lighting on highways and roads, especially FOR the 4–5 months when crops need to be transported. 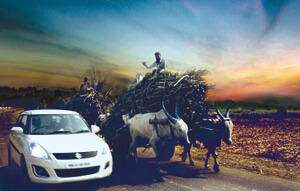 The initiative is currently in its test phase, and is being piloted in Daund, a small taluka near Pune, where sugarcane is one of the primary crops. Whisper India has released an inspirational video, urging and encouraging every woman to #OwnThose5days of the month, and put her will ahead of her body. Featuring ace badminton player Ashwini Ponnappa, the youngest Indian female pilot Ayesha Aziz and the youngest female chef Anahita Dhondy, the video marks gender parity and highlights the unstoppable spirit of women realizing their dreams. Shilpa Shetty inaugurated the Bonsai Bonanza and Ikebana Exhibition at Jamnabai Narsee School. Curated by bonsai experts Harsha Hinduja, Urvashi Thacker and Taruna Agarwal, the exhibition had bonsais of 30–50 years of age, as well as plant species collected from all over the world. Other guests seen admiring the exquisite bonsais included Archana Kochhar, Minal Thacker, Simone Arora and Swaroop Sampat. Some of the plants on display were English Hawthorn, African Acacia, Sandpaper Ficus, Thai Bodhi, Tropical Banyan tree, Grafted Bougainvilleas, Juniper and 5 Needle Pine, among others. The V Renaissance (TVR), a bespoke luxury leather brand marks its debut in Mumbai. The new store exhibits its latest collection for men’s accessories, ranging from helmets, tech-covers, leather bags and wallets. 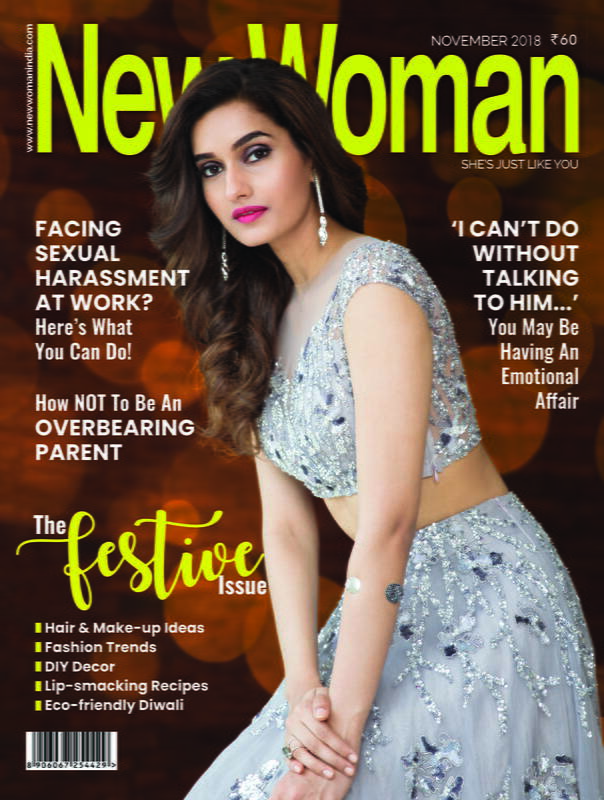 Guests present at the event included Sana Khan, Sandhya Shetty, Suchitra Pillai, Karishma Tanna, Smita Jaykar, Shama Sikander, Mansi Scott, Rajeev Paul, Leena Mogre and Kushal Punjabi. 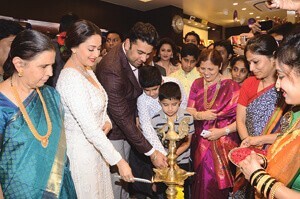 PNG Jewellers has strengthened its presence in Mumbai with its fifth magnificent store. Madhuri Dixit-Nene launched the showroom in the presence of MP Gopal Shetty, chairman and MD, PNG Jewellers, Saurabh Gadgil, and other guests. The 3,500-sq.ft showroom showcases elite and antique jewellery designs that exude grandeur, charm and elegance. A spectacular special diamond lounge is one of the major attractions of the store. 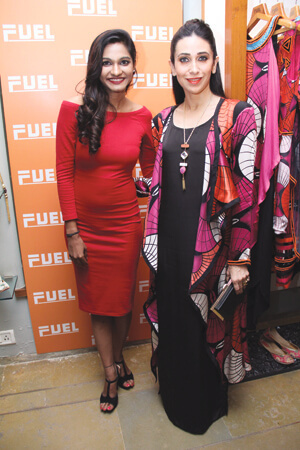 Designer Eshaa Amiin launched her Spring Summer Collection amidst much fanfare. The occasion was graced by celebrities including Karishma Kapoor, Mandira Bedi, Kiara Advani, Daisy Shah, Urvashi Rautela, Pooja Chopra, Karishma Tanna, Anajana Sukhani and Meing Chang. Designers Swapnil Shinde, Neeta Lulla, Babita Malkhani, Vikram Bawa, Sonakshi Raaj, Riddhi Siddhi Mapxencar were also present at the event in support of their contemporary. Enjoying the music, cocktails and finger foods, they were seen chatting away with models like Sucheta, Sheela, Malvika Raaj and TV actor Chahat Khanna. 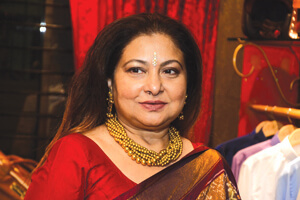 Sahachari Foundation initiated the sixth edition of Design One, a two-day couture exhibition in New Delhi. The foundation brought together leading designers to showcase their collections, and raise funds for NGOs working for women’s causes. Designers Abu Jani and Sandeep Khosla showcased their latest collection along with Aneeth Arora, Gaurav Jai Gupta, Nidhi Tholia and Anavila, to name a few. This year, the foundation will donate proceeds to Shine Home for Women. 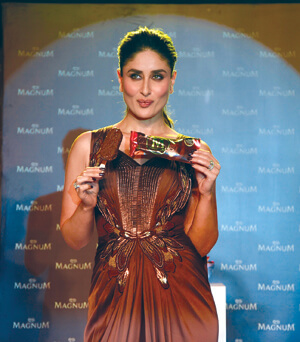 The exhibition showcased apparel, fine jewellery, accessories, and chosen home décor and designs. HOW DO I SECURE MY KIDS FUTURE?